#888poker ambassador @nicolauvl is looking to take down the 888LIVE Sao Paulo Main Event this week. 888poker is taking its 888Live tour to Sao Paulo in Brazil in what is an eagerly anticipated event. Hundreds of poker players are set to make the journey to Casa Bossa – Cidade Jardim Centre this week. For one member of Team 888, the Main Event can't come soon enough. 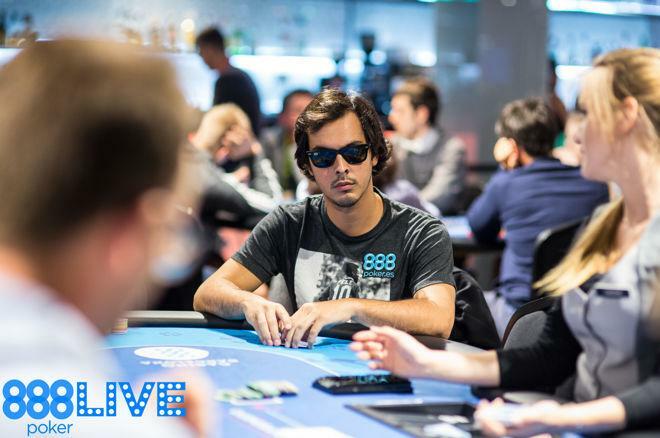 Nicolau Villa-Lobos, a 29-year-old from Rio de Janeiro, is a member of Team 888 and currently occupies sixth place in the Brazilian all time money listings thanks to having earned $1,253,674. Villa-Lobos' first recorded live cash came in March 2012 when he was the runner-up in the R$1,750 BSOP event in his native Rio. It was a result that netted him R$73,900 ($43,306), which set him up for a deep run in the 2012 World Series of Poker Main Event; the Brazilian finished 77th for $88,070. Another cash in Brazil followed before Villa-Lobos' first major win happened when he finished on top of a 612-strong field at the 2012 UKIPT Edinburgh Main Event. This win not only gave Villa-Lobos a £101,000 ($162,319) addition to his bankroll, it also gave him the confidence to turn professional in the game he loved. "That was a turning point for me, and I knew that I couldn't look back anymore," Villa-Lobos said to the 888poker eMagazine. The popular Brazilian grinder is a big fan of his sponsor's live events, calling them "amazing" and stating that Mazagan and Seefled have been his favorite stops to date. Sao Paulo, however, looks set to blow those stops out of the water in terms of size, importance and fun. "The poker scene in Brazil is huge. I would say it's one of the biggest in the world. People are really passionate about it, and things go crazy." Although Villa-Lobos intends to do everything he can to win the 888Live Sao Paulo event, he knows that some of his fellow Brazilians will be doing the same. Several top professionals hail from South America's largest country, including Bruno Foster – also known as Bruno Politano – who is a fellow 888poker Ambassador. Villa-Lobos also says to look out for Bernado "Bedia" Dias who is one of Villa-Lobos' study partners and a "beast online." Keep an eye out for Rafael Moraes and Thiago Crema who Villa-Lobos thinks highly of. While online satellites have now ended at 888poker, there should be some live satellites at the 888Live Sao Paulo venue, plus several side events to get involved in. Should your quest for glory not go to plan, Villa-Lobos has some advice for making the most of your trip to Brazil. "Sao Paulo has amazing food and one of the best nightlife scenes in the world. Be sure to set aside some time to go around and have fun. It's always a great experience playing 888 Festivals."